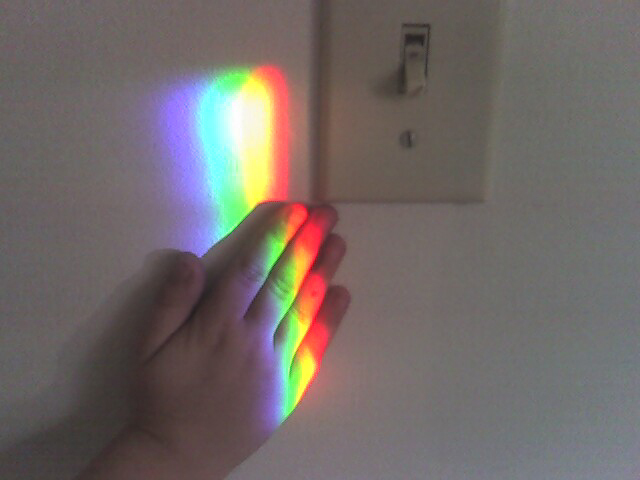 This little hand loves to come in to the kitchen on sunny afternoons to touch the rainbow colors that are beamed onto the wall by her Dad's Spectra sundial on the kitchen window sill. She says that she likes to do it because the colors feel really good! If you'd like to see more rainbow pictures be sure to check out the other ones on the Spectra gallery page!